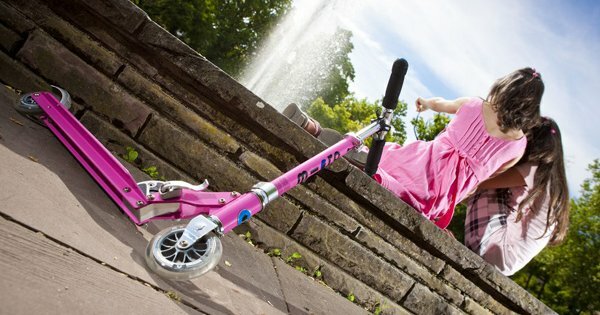 I was quick to jump aboard Micro scooters the very moment we first featured them in 2009, and was especially sad when my daughter began to outgrow her Mini Micro scooter, but never fear – the scooting continues for older children with the all awesome Micro Sprite scooter! I can attest to the Micro Sprite being the perfect option for children that are between scooting stages – my daughter has been riding this model for a year or so and loves it. It’s cool enough and fast enough to scoot with the wind in your hair but safe enough that you don’t have the deck swing out from under you while you’re still building confidence. The Micro Sprite scooter has a great adjustable handlebar height so there’s no accidental toppling over the front, rubber wheels ensure a smooth ride and the kickstand is especially handy for seeing it in the driveway before feeling it. The fact that you can even fold the handlebar down against the deck makes it super easy to put in the car for kids that tire from walking easily. Designed for children aged five and up, there’s a colour to suit everyone’s street style, choose from pink, sapphire blue, blue, red and black. Micro scooters really are the bees knees, their quality build withstands plenty of dropping on cement, and spare parts should you require them are readily available. 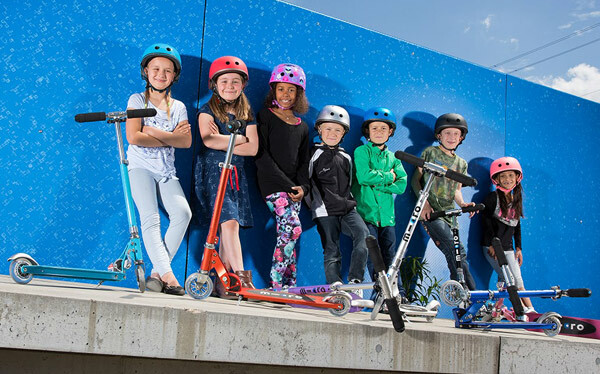 The Micro Sprite scooter is priced $169.95 and available for purchase direct from Micro Australia, who will even post it within Australia for free!